The fourth annual Madonnari Festival kicked off this weekend in Little Italy. The festival is the brainchild of Cyd Wolf, who runs Germano’s Piattini, a great cabaret venue here in Baltimore. Madonnari is art that literally takes it to the streets. 60 artists from all over the world are hard at work as we speak creating Chaulk art on the streets of Little Italy and in front of the American Visionary Art Museum. You can see their work come to life all weekend. 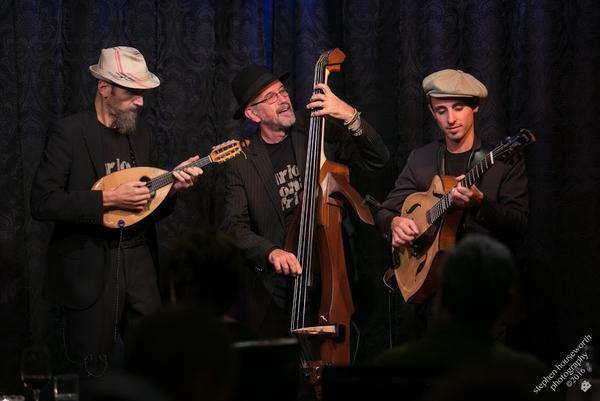 The festival also includes 100 performing artists, and we hear now from three musicians from Italy's Liguria region: Carlo Aonzo is an Italian mandolin player, who is joined here in Studio A by Lorenzo Piccone on guitar and Luciano Puppo on double bass. Together they are the Carlo Aonzo Trio.